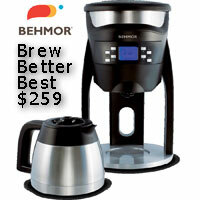 Breville Barista Express (BES 870) vs Sunbeam Torino? Thread: Breville Barista Express (BES 870) vs Sunbeam Torino? I am new to this forum so hope my query is okay. Would like to purchase a gift for my daughter and I like to look of the Breville Barista Express BES 870 as well as the Sunbeam Torino. Welcome along. There are a number of threads discussing the range of appliance machines out there at the moment. You'll probably find all you need by doing a search for those model numbers using the search box up the top right of the page. In particular there is a thread that suggests the Torino is not really worth it's cost. In that price range, the Breville Double Boiler has proven itself, and is available as a package with a grinder like the Torino. These two machines you have chosen are thermocoil machines, which is fine, but ultimately will function mostly the same as each other. In the case of the Torino, higher price won't necessarily make better coffee. The Barista express has the built in grinder which can be a blessing and a curse. Two machines built into one means that when/if one fails, you lose the whole lot to the repair shop. I'm sure others with experience will be along soon to give some suggestions. All the best with finding a gift! Yes, I wondered if the high price for the Torino was really worth it....and I had the same thought about the 2 machines in one being an issue if 1 conks it. I will look at the Breville Double Boiler that you mentioned. Am I wrong in thinking that the Breville Double Boiler BES920 looks the same as the Breville Barista Express minus the built in grinder? Actually the Barista Express product page the Barista Express really doesn't tell you very much at all. But it's a thermocoil. That'a the biggest difference in these machines - thermocoil vs boiler. Otherwise, it's just features on top that are neither pros nor cons depending on the person. If you have real espresso machine money to spend (and it appears that you do), my advice is that you should steer away from an appliance which will end life at the tip and instead purchase a real espresso machine. It's tricky when purchasing machines as a gift. There's a case to be made for buying an appliance in that circumstance, but if you care about longevity of the machine, and know that it'll get used, I'd take Talk Coffee's advice. Quite a significant difference in price....So, my research says ' Water temperature stability is the most important factor in determining the quality of your espresso' and Double Boiler allows you to make coffee and steam milk at same time without affecting the temperature of the coffee (hope this is right) - read about Thermocoil and it's a little bit confusing, but I think I get the jist of it. And I am thinking a Double Boiler is better than Thermocoil? Breville double boiler is better than thermocoil, yes. But... boiler in general is better than thermocoil. And this is where you start pushing out of the appliance range into the traditional machine makers, who offer single boiler, heat exchanger and double boiler options. You're not necessarily looking at a massive price hike either. A single boiler by a espresso machine manufacturer will be a much better purchase than a double by an appliance manufacturer. It's really difficult to become aware of these sorts of options, as department stores don't sell machines by Italian manufacturers because they can't get the margins they want, and don't have the 3 year product life cycle that brings customers back. Yet, that's where we go when we think of buying something for the kitchen. It's not like you'd normally find yourself walking into an Espresso machine retailer. 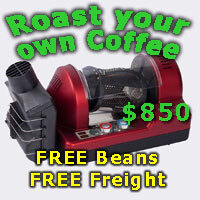 The best place to find a range of 'real' espresso machines is by visiting the Site Sponsor links at the bottom of this page, and flipping through the machines they have available. Typically and appliance will have a plastic or plastic coated aluminium body, a thermocoil or thermoblock heating element (or in the rare case like the Breville double boiler, a boiler) and often it's buttons and removable things (like drip trays and portafilters) are relatively cheaply made. A 'real' machine will be made of stainless steel, will often have less bells and whistles electronically because they've been engineered for good thermal stability without the need for electronics, and are much simpler machines, built with proven pumps and pressurestats that are easily maintained. Lots to think about.....thank goodness I time.